A 43-year-old male patient presented to the emergency department with acute chest pain. Physical examination revealed multiple cutaneous hemangiomas. Clinical examination and routine laboratory tests (e.g. blood analysis, electrocardiography) were inconclusive in determining the cause of the pain. 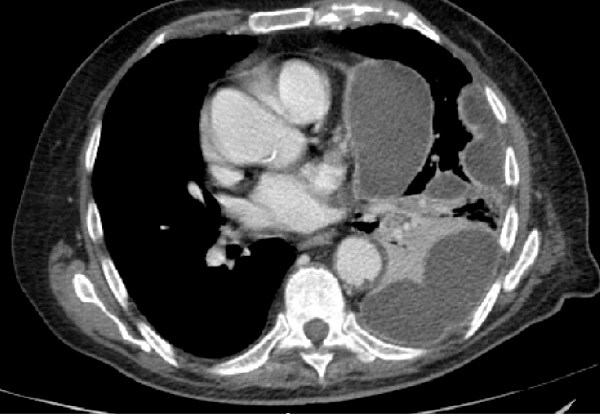 Contrast-enhanced CT of the chest was performed.